Back in March, a kid hailing from London's Rayners Lane caused the kind of music blog meltdown the internet was custom-made for. 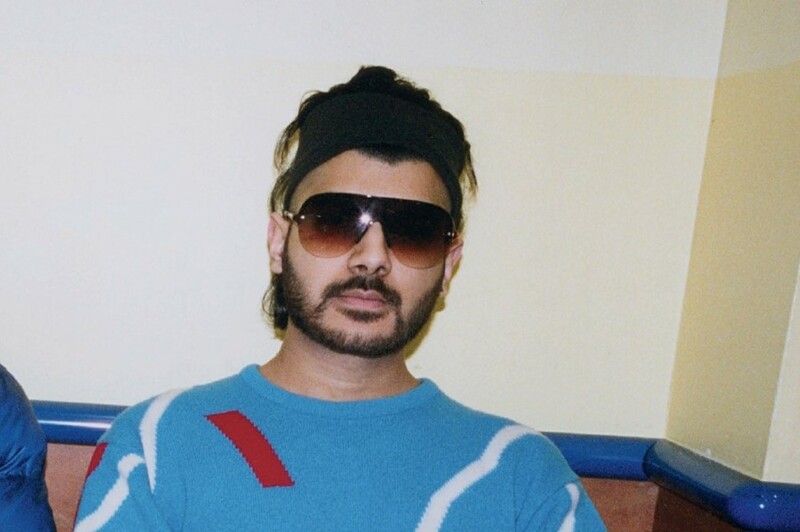 22-year-old Jai Paul created the squelchy, brain-frazzling "BTSTU" in under an hour and the unmixed demo quickly found its way into the blogosphere. The cyber ripple caused a tidal wave, with blog after blog struggling to write about a track that somehow defies catagorisation. Then, as if to cement his sudden internet ubiquity, a full dance routine set to "BTSTU"made an appearance on YouTube, which is as close to an instant modern day accolade. "It felt like the first time all my ideas had come together into something really concise so I was really proud of it," says the softly spoken Paul. "I didn't think anyone would like it though. Music to me was just a hobby and, in a way, I didn't care about showing it to anyone." Jai Paul's uniqueness may come down to the fact there's not much influencing him. "I don't actually own an iPod and I don't know what iTunes is," he say. "I'm one of those boring guys who found the music they liked as a kid and stuck with it." That music was anything played in his house, from the Beatles to ELO, to Queen and Michael Jackson. "Pop's not a dirty word, but in the same way I'm not the opposite – an indie kid who's like 'Nah trust me I make pop but in an ironic way.' It's more like in the 90s when they used to call it 'alternative pop', like Bjork and stuff, that was a sick time." It's the pop-with-an-edge ethos that saw just about every label join an undignified scrap for his signature, with indie XL the eventual winners. "It's funny because it was kind of like a childhood dream of mine to be on XL." Didn't the lure of a big-money deal with a major tempt him? "The major label guy was like 'Let's make this bg around the world!' and I was like 'That would be sick!' It sounded wicked man. But I realised as much as I don't want to admit it, I'm kind of a hippie." While his debut album is still being completed, thoughts are turning to his first single. One contender is the playful, densely produced "Straight Outta Mumbai" while Paul's choice is the insane, sci-fi influenced "A Thousand Light-Years From You". "It's my favourite because it's really ambitious," he says. "It's quite fucked up. It's got sort of like ELO harmonies, 90s hip hop drums, Motown guitar and a Harry Potter sample at the begining." It's fair to say Jai Paul strives for originality, so when I asked him if there's a Rayners Lane music scene he pauses, chuckles and says "Yeah ... I am it."